The NYSC Registration is the moment graduates from various higher institutions will start uploading their details into the NYSC system for deployment and identification. The NYSC Registration for 2019 is In progress. Before you go into the NYSC registration portal to begin your registration, you should read about these vital things. 1. There are no accredited centers and you shouldn’t allow anyone to fool you to believe that lie. NYSC does not have accredited centers you can register. You can do your registration anywhere. 2. Beware of fake websites that will scam you. There are always several scams during the NYSC registration. Stay with us here and watch out so you don’t fall, victim. 3. Even if you are the first to register, that doesn’t guarantee NYSC will post you to Lagos. Either you register on, first day or last day, NYSC posting is random. 4. Never provide fake information or fake documents at any point in time of your NYSC Journey. 6. You will pay N3,000 if you want to print your NYSC call-up letter online. But if you want to visit your higher institution to collect the letter, you don’t need to pay. I will advise you pay. You will still pay if you go to your school. 8. Married female prospective corps members (whether locally or foreign-trained) should upload copies of their marriage Certificates, evidence of Change of name and their husbands’ place of domicile during registration. Below are the important things you need and cannot make.any mistake about. 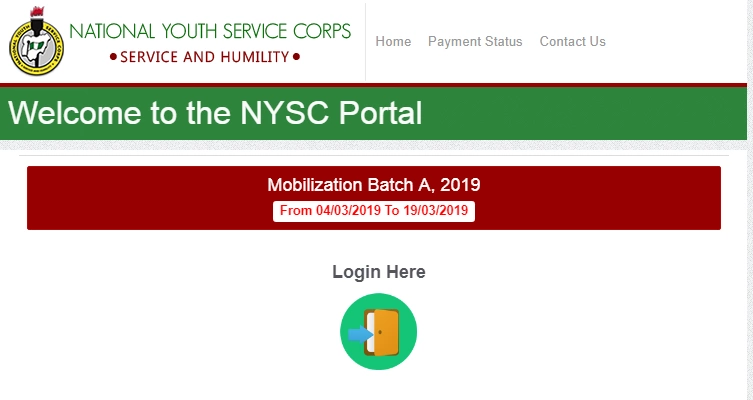 You can see and read the information that will be required from you during registration and you can click here to see the NYSC registration form sample. Is the senate list for federal university of agriculture makurdi been submitted to nysc? I recently got married. However, I do not have a change of name document. What do I do?